Investment opportunity !! 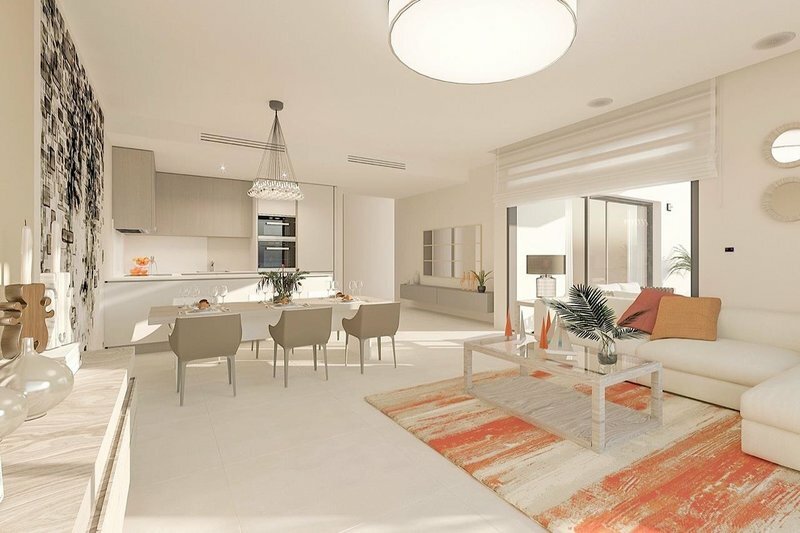 Just released, new off plan development easy walking distance to beach, modern, contemporary and exclusive design. 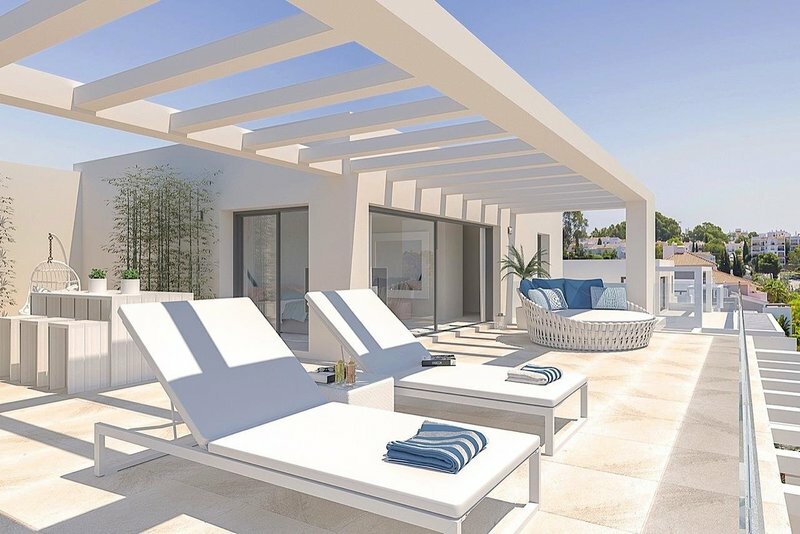 Located on the New Golden Mile but adjacent to Marbella and surrounded by Golf Courses. Open and bright apartments and penthouses with kitchen integrated in the living room and fully equipped, air conditioning, alarm installed, smoke detector, etc. The apartment has a garage and storage space and each block has its own independent access to the garages. All apartments have 2 bathrooms, with separate laundry. In the typology of 3 bedrooms this laundry also doubles as a guest toilet. 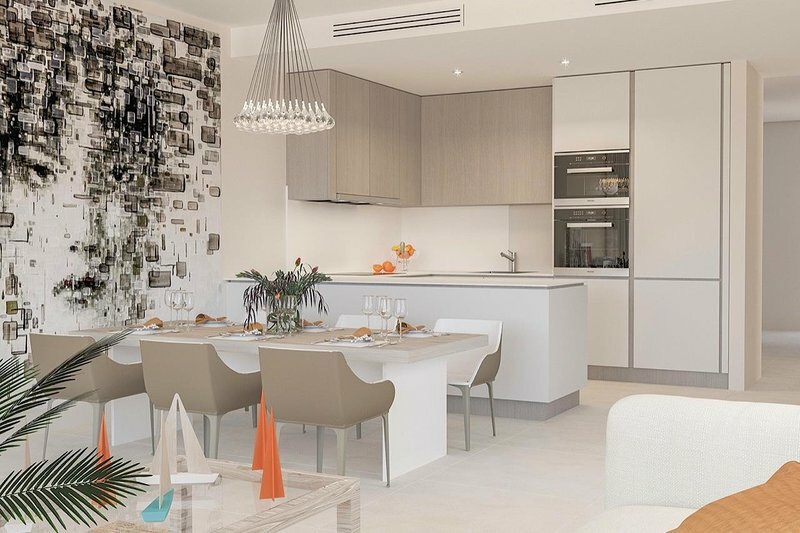 The 2-bedroom apartments have an average built area of 99,63 m2, with terraces with a surface area of 37,29 m2, and gardens, which are located on the ground floor, ranging from 35,10 m2 to 104,20 m2. 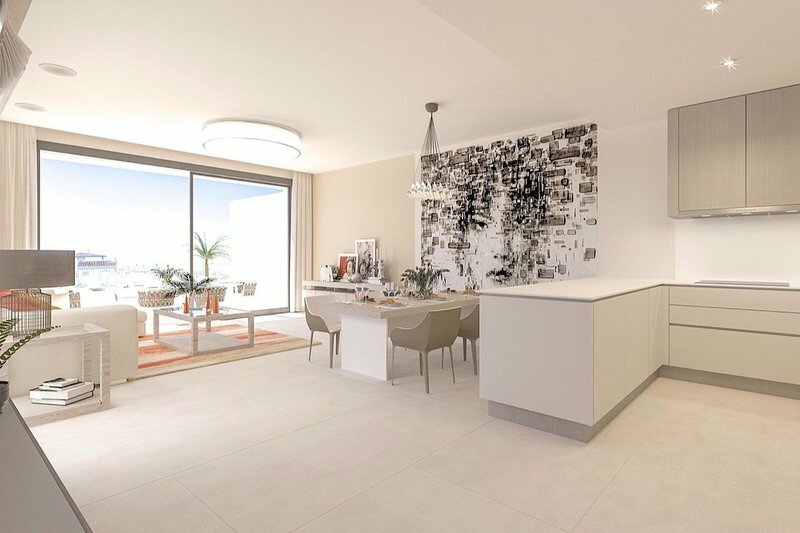 The 2 bedroom penthouse has a constructed area of 94,82 m2, with surface terraces of 96,14 m2. ⋅	Swimming pool for adults and children, with surrounding garden areas. ⋅	Salt chlorination system and interior lighting. ⋅	Tropical gardens with automatic irrigation. ⋅	Illumination of roads with beacons to avoid light pollution. ⋅	Automatic access door with controls for opening. ⋅	Garage with polished concrete pavement and vertical walls in paint and colored band. ⋅	Installation of recharging point for electric vehicles in the garage area, with possibility of semi-fast or slow loading. 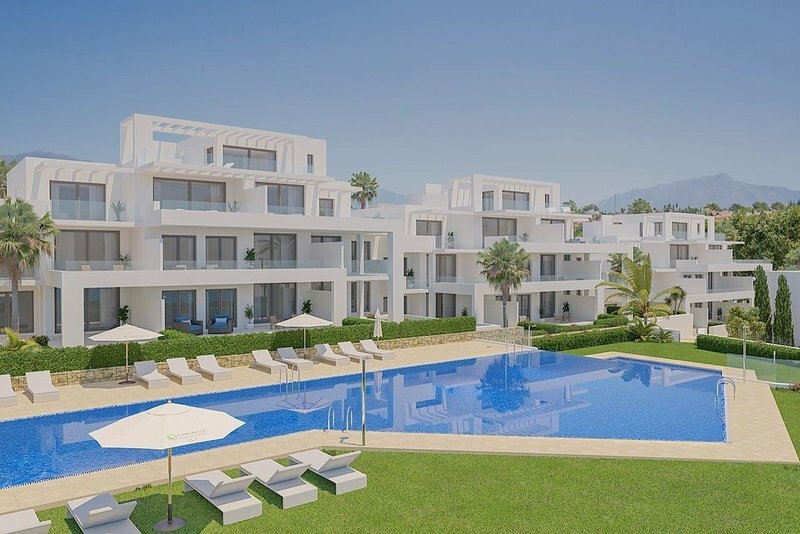 Owners has included in the price of the apartment a FAMILY MEMBERSHIP of 1 YEAR in the Club El Campanario, for 2 adults and 3 children under 18 years with which they will be able to enjoy of all the magnificent facilities of the Club. 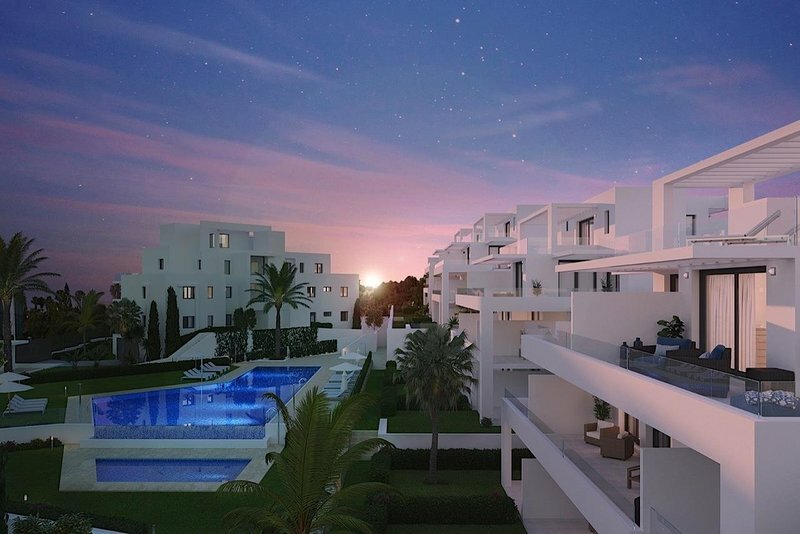 One of the great attractions of this development is to be able to walk from your apartment to your Club House, to El Campanario Golf & Country Club, undoubtedly one of the best on the Costa del Sol and enjoy as a partner-owner all the magnificent facilities. Among the facilities the complex has an outdoor swimming pool, heated swimming pool over 20 meters long with Jacuzzi, steam bath and sun loungers, Spa, Gym, 2 tennis courts and 2 paddle tennis courts, restaurant and social club. 3. 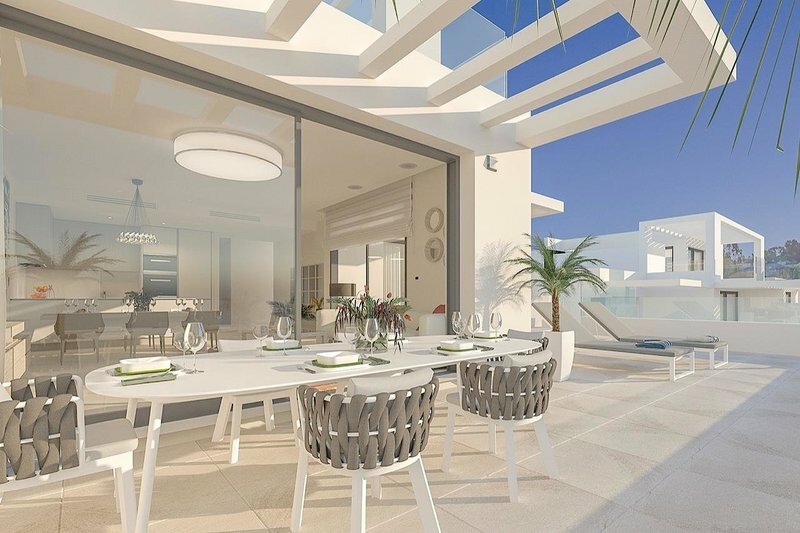 Within six months of the private purchase contract:10% of the Sales Price, plus IVA 10%. 4. The remaining 60% together with its IVA will be paid at the signing of the public deed of sale.